These are THE sneakers now. Black, White, worn in, and they look expensive/amazing in person. 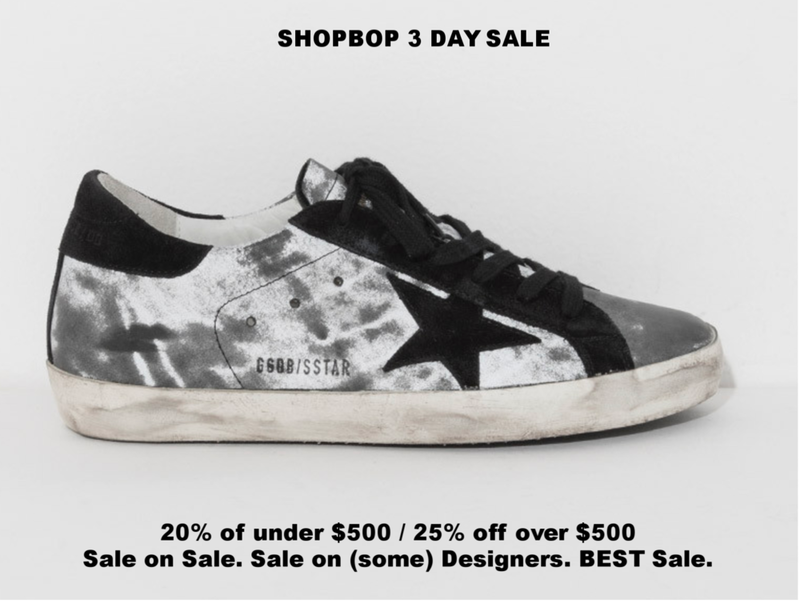 By/Buy Golden Goose here. Image courtesy of Shopbop. Find this Alexander Wang Bag, here. Golden Goose sneakers, here. Shopbop is literally one of my favorite sites for getting the statement and staple pieces of my wardrobe each season. As their price points are a bit higher, I use this top online fashion site to buy my outfit and wardrobe staples for the season, so this sale would be Fall 2017/2018 pieces. I know I tend to have 10 to 15 capsule items for the season, and as I wear each piece a ton, I want to buy from stores and brands with high-quality so they won't be worn out after a few washes. I've never posted about a sale before, as you might know, so this Shopbop sale and Capsule Shopping for Seasons are two things I am passionate about. Shop this amazing sale for all of your designer, Fall/Winter 2017/2018 classic and capsule pieces. The classic pieces that will last for more than a few seasons - I'm talking years of wear - because that's what a good shopper like Liz Ash does (cannot believe I just spoke of myself in third person - first time for everything I suppose - ha!). Anyway, as I see it, why spend a lot of money on something that is going to go out of style like...yesterday? You could use that money - yes, that money you spent on those terribly ugly pom pom shoes - to put your kid through college (no offense or anything - I'm brash I know). So, It seems foolish to buy into the - not only overrated but completely tacky and unflattering pom pom or puff puff trends as you're not only looking pretty silly, in my humble opinion, but you're also feeling pretty silly spending lots of money to look like a puffer fish in full inflation- fuhreal. 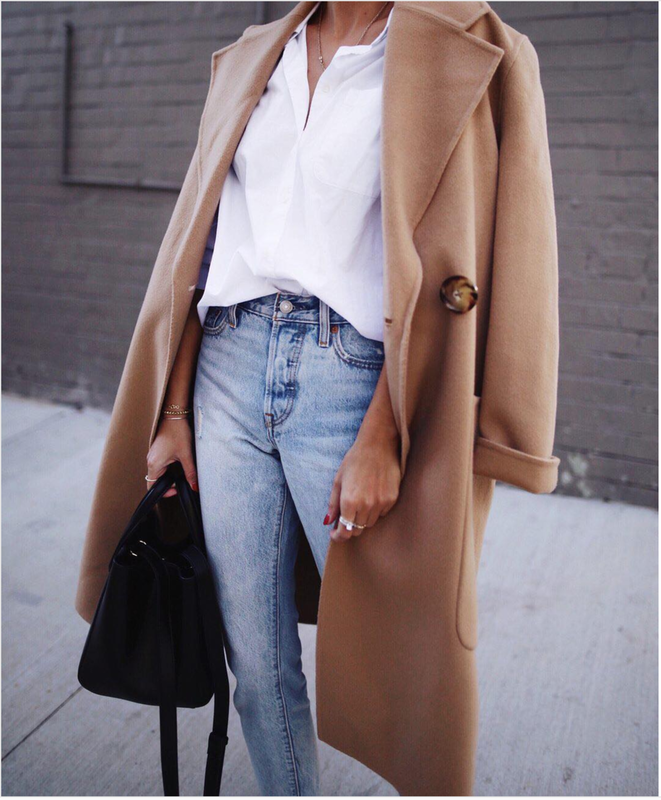 Save your money, and use it on your classic garment purchases - the perfect season-less satchel bag, the duster coat, the perfect fall bootie, the epic wool winter blazer coat, the classic black leather shopper - these are the garments and accessories to spend high on. And in neutral colors. This way, you can wear them for the next few years and your wear-factor will overwhelm your spend factor :) Making you not only guiltless but also looking SUPER fly. That's the Liz Ash way. Happy Shopping! PS - So not to contradict myself as these shoes to some may seem ephemeral, but I am LOVING the GOLDEN GOOSE sneaker collection - die for their hightops and this pair called the Sneaker Superstar. These are my iconic sneakers of the season. So rather than buying 15 pairs of cheap shoes that you wear once, you buy one pair and they look BOMB. Throw them on with a long sleeve mini dress for a night look, or wear them with high-waisted black skinny jeans and a nice black blouse for work. Love these, truly do.